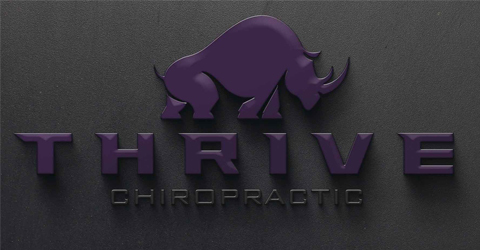 At Thrive Vacaville, we believe in providing holistic chiropractic care to adults and children. That means we don’t only want to make you feel better, we want you to experience total health. When you come to us and it turns out that we can help you, we’ll give you the whole story about your treatment and you get to determine the kind of care you want to receive, we will also help you with other changes in your lifestyle which may help you become healthier faster and stay vital longer. We offer pediatric chiropractic care and full life cycle services, not just for immediate pain relief, but also for people who want to recover from chronic conditions, and for people who want to prevent disease and maintain a healthy lifestyle. Doctor John and Doctor Allison are chiropractors who are licensed to make spinal adjustments. We do not "heal" people of diseases, what we provide is chiorpracic adjustments that improve the nervous system’s ability to function, which in many cases allows the body to heal itself. When you have problems involving the nervous system and those problems are fixed, then the nervous system can do its job. The job of the nerous system is to coordinate and regulate every single activity in the body, does it not make perfect sense to monitor and maintain the integrity of that "Master Control System"? Given the human body’s capacity for self-healing, we are not surprised by the results following adjustments, and often times expect them without doubt.